McMahon stunned the defending World Wall Ball champion Danielle Daskalakis in the Wall Ball final, just three years after losing decisively to Daskalakis in the 2015 Wall Ball World Championships. McMahon seized game one, nearly rallied from an 11-20 deficit in game two, then pulled away in the tiebreaker by scoring six of the final seven points of the match to become the first Irish player to win an Open Wall Ball World Championship. 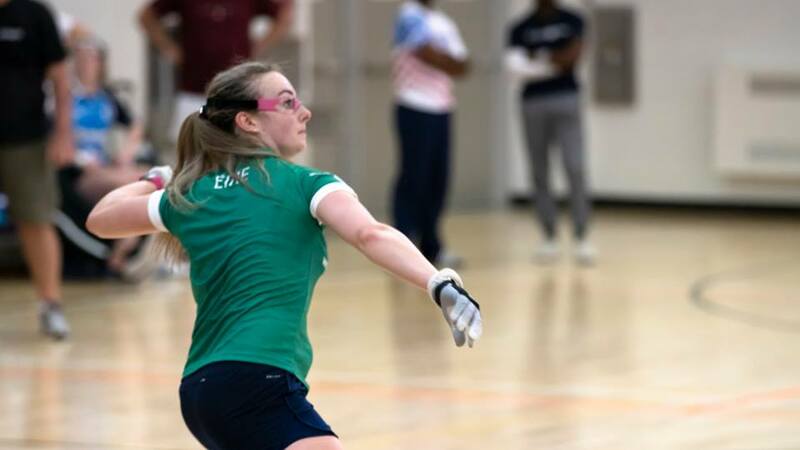 McMahon then turned her attention to the 4-Wall Open singles, where she served as the Team Captain for Ireland following a dramatic 21-20 third game victory in the 2018 All Ireland 40×20 Championships over rival Catriona Casey. 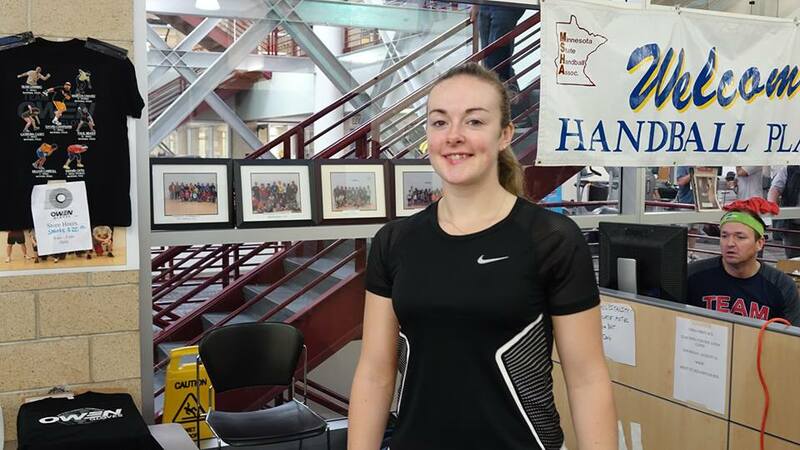 McMahon entered the 4-Wall singles and the third seed but played like the favorite from the outset, dismantling 2017 USHA Four Wall Nationals finalist Tracy Davis in the quarterfinals and eliminating two-time defending Women’s 4-Wall champion Aisling Reilly in the semifinals with shocking ease. Only Women’s Race 4 Eight #1 and four-time defending USHA Four Wall National Champion Catriona Casey stood in McMahon’s way in the final. McMahon started brilliantly in the final, racing to a 13-3 lead by simply overpowering the normally indomitable Catriona Casey. “I’ve never seen a woman hit the ball as powerfully as Martina,” declared McMahon quarterfinal victim Tracy Davis. McMahon withstood a Casey comeback in the second half of game one but would not be deterred as the game became close, continuing to go for her shots and seizing a one-game lead, 21-18. Casey appeared to have adjusted to McMahon’s offensive power attack in game two, as the pair stood even at 12 midway through game two. McMahon elevated her game to the next level with the championship just nine points away, opening up her full arsenal of power serves, blistering pass shots, and bottom-board kills to score the final nine points of the match to add the 4-Wall Open singles title her Wall Ball title. McMahon completed the dream week by teaming with Aisling Reilly to defeat Catriona Casey and Aisling O’Keeffe in the Women’s 4-Wall Open Doubles just an hour after the singles final, giving McMahon the unprecedented World Championship Triple Crown. “I don’t think I’ll ever be able to top this,” stated McMahon. “The Triple Crown will likely never happen again so this is truly history,” stated WPH Executive Director Dave Vincent.